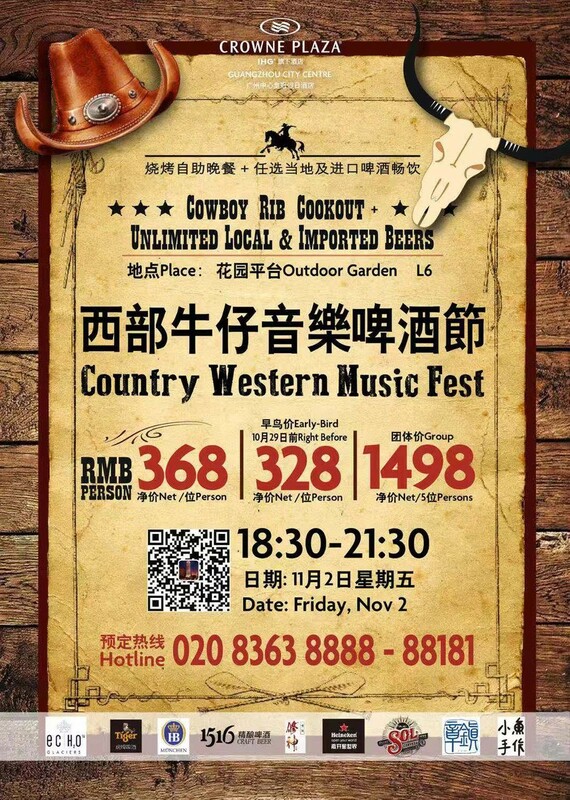 The annual Country Western Music Fest of Crowne Plaza Hotel Guangzhou City Centre coming again on Friday night (2nd November). There are a lot of buffet dinner for eating and beers which are elected brands from domestic and abroad for drinking in the hotel. Bands form the west of the United State will show on and you can enjoy interactive games. You will get the opportunity to get the gifts including one night stay in deluxe room on weekend in the hotel and one night in superior room in HUALUXE Yangjang City Center or Swarovski Loly Doll sponsored by Zhangzhen Cowboy.